fun for a delicious morning meal or snack. When thinking of breakfast, it’s not always time that we lack- sometimes it’s just inspiration! I’m guilty of falling into a routine and defaulting to the same breakfast morning after morning. But sometimes I find myself wanting to break out of the mold and experiment with something different. Something my children may actually eat as well. What’s my solutions? 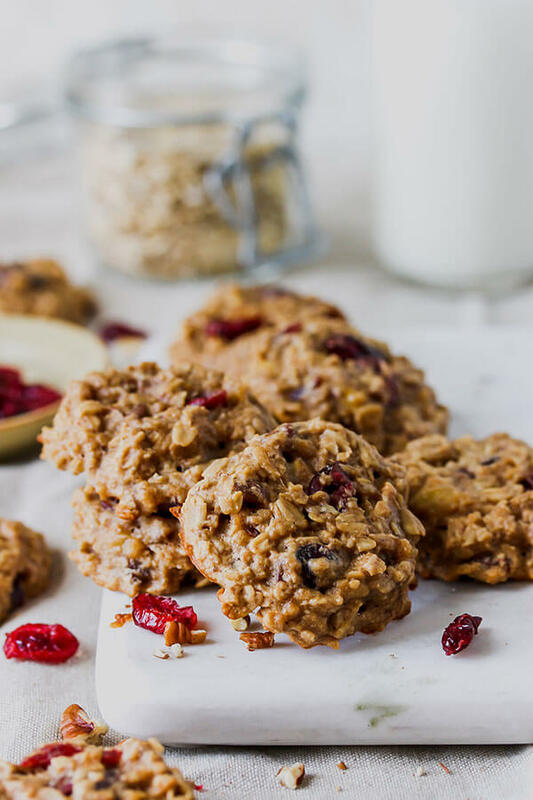 Scrumptious, satisfying, and (naturally) sweet Cranberry Pecan Oatmeal Breakfast Cookies! 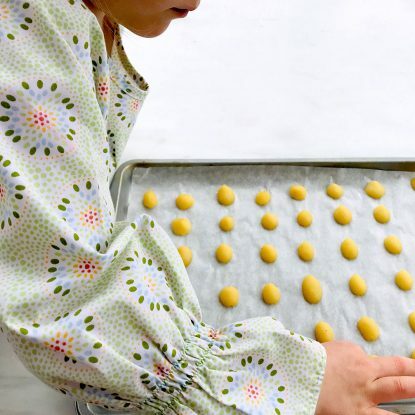 Whether you pop them in the oven and bake the morning your want to eat them or you make them the day before is up to you! Plus, they’re freezer-friendly which is nice for mornings when you find yourself short on time. Pop one in the microwave while you’re loading up the car, grab a drink and you’ve got yourself a delicious and quick meal. 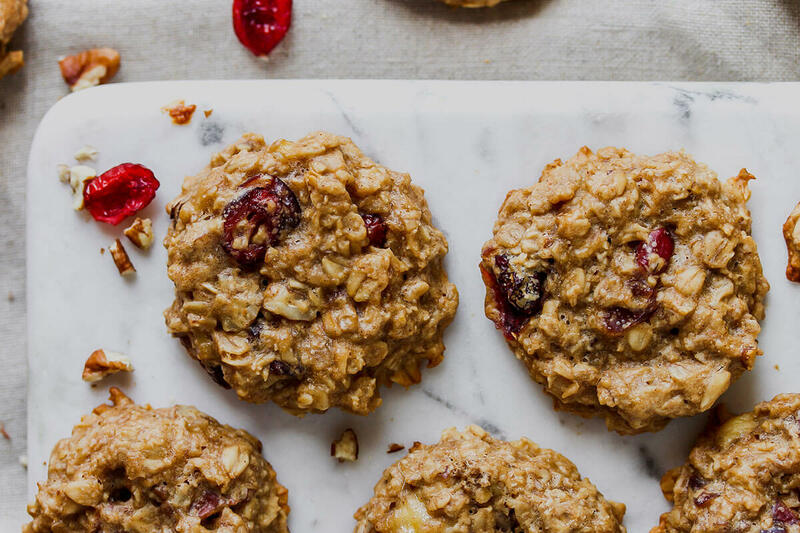 Other ways to enjoy these breakfast cookies? I loved crumbling one up over a bowl of yogurt and berries, complimenting a savory plate of scrambled eggs with a little sweetness, simply enjoying with a glass of cold milk, or adding as a sweet ending to a lunchbox. Do you skew sweet or savory in the morning? 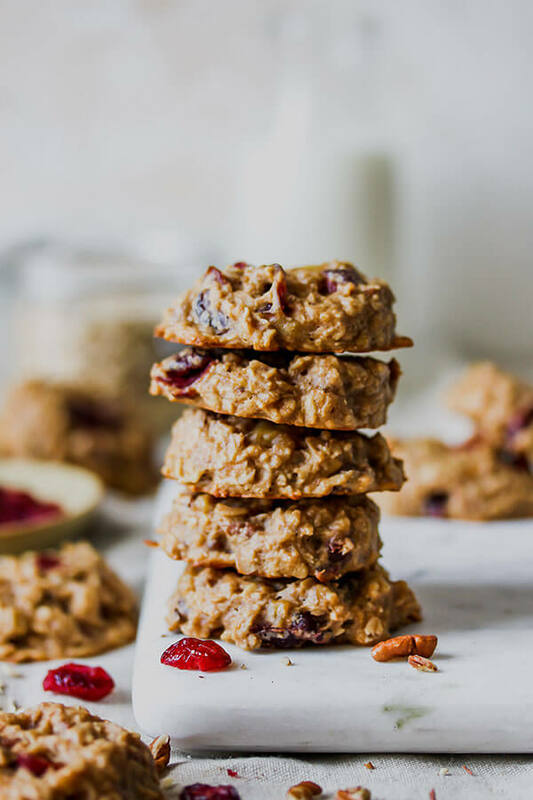 If sweet, then you don’t want to miss Mini Carrot Cake Pancakes with Vanilla Greek Yogurt Frosting, Blueberry Lemon Cheesecake Overnight Oats or Cinnamon Breakfast Barley. 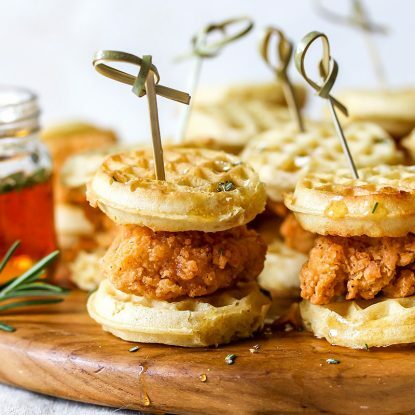 Savory? 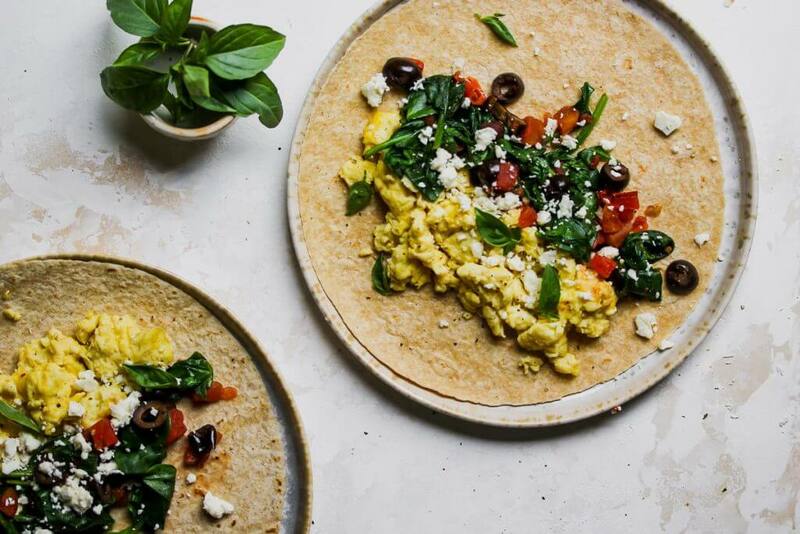 These 4 Make Ahead Breakfast Burrito ideas will be perfect for you! Pulse 1 cup oats into oat flour in a blender or food processor. Combine oat flour with 1 cup old fashioned oats in a medium-sized mixing bowl. Stir in baking powder and cinnamon. Make a well in the center of the bowl; set aside. Combine mashed bananas, 3/4 cup milk, nut butter, honey, and vanilla in a separate bowl. Stir together until ingredients are fully mixed. Add banana mixture to oat flour mixture. Stir until ingredients are combined. Gently stir in dried cranberries and pecan pieces and combine until evenly distributed through mixture. Scoop out mixture onto baking sheet with large spoon or ice cream scoop and gently press down with fork. Bake for 15 minutes before removing from oven, allowing to cool for 5 minutes before transferring to wire cooling rack to continue to cool. Eat immediately or store in air-tight container for 3-5 days. 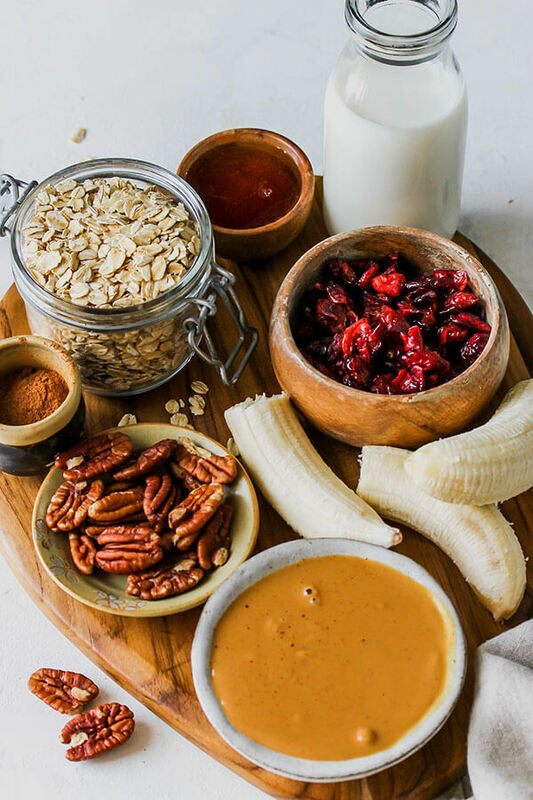 Tired of having the same ol’ bowl of oatmeal morning after morning? No longer! 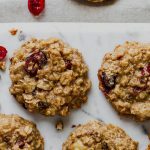 These Cranberry Pecan Oatmeal Breakfast Cookies combine nutrition and fun for a delicious morning meal. I enjoyed these. Sweetening level is fine — I might add more cranberries & nuts, though. Important note. I think it should say to cook until tops & bottoms show some browning. I think mine were initially undercooked. I played with them a bit…undercooking can serve well if you want to reheat to serve warm during the week. 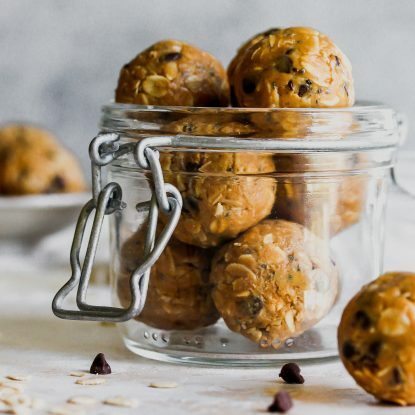 Holley, what kind of nut butter do you like to use/recommend in this recipe? Thanks! Peanut butter, pecan butter and almond butter are all delicious options! Hey Holley, do you have any nutritional info on these cookies? Thanks, They look fabulous!! !